A former junior national pole vault champion, Rob started out as a street performer back in 1999 in a double act with his brother, Liam. 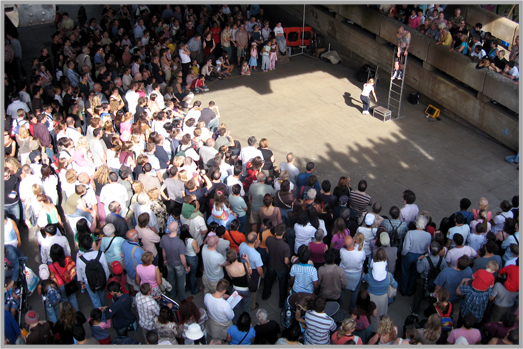 Since then he has performed on the street and at festivals in cities around the world and can perform his whole show in English, French, German and Japanese. 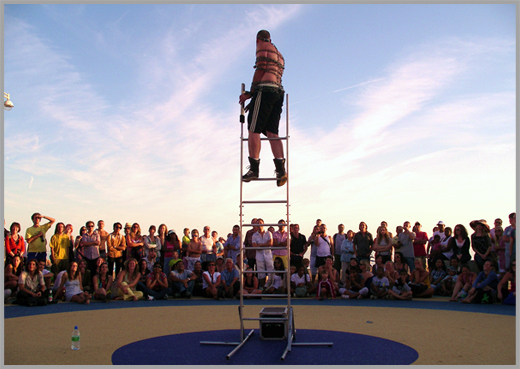 Street performing can be the most challenging yet rewarding style of entertainment. Taking an empty space and attracting an audience of over a thousand people, working the crowd and creating a unique atmosphere are Rob's passion and specialities. Rob Roy Collins is one of Europe's top street performers and when not at festivals or events, is a regular at Covent Garden in London the most famous street performing venue in the world.